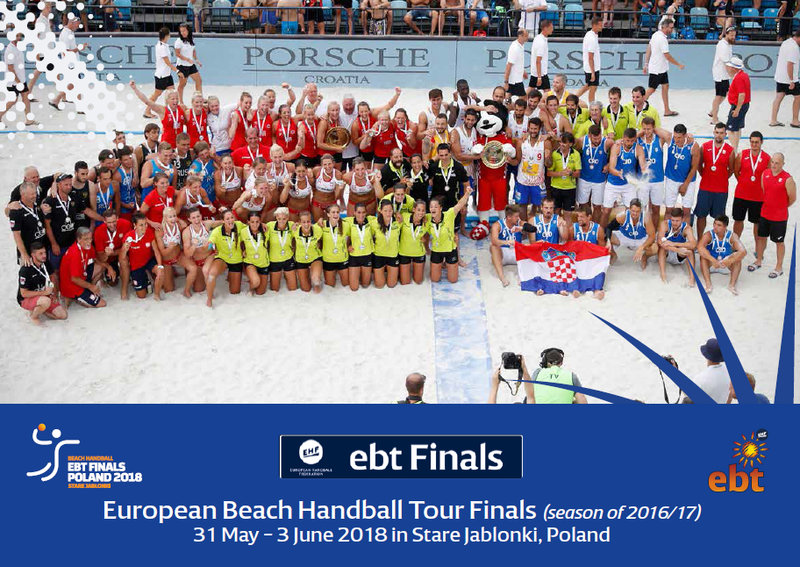 European Handball Federation issued an invitation to participate in the ebt 2018 Finals, which will be held on 31.05-3.06.2018 in Stare Jabłonki. 12 women’s teams and 12 men’s teams will take part in the tournament – ebt Finals 2017 title defenders, 10 best teams in the ebt ranking for the 2016/2017 season (one from each country) and a team with a wild card awarded by the organizers – Polish Handball Federation and Hotel Anders. Among participants is current Polish champions and Polish Cup winners, BHT Auto Forum Petra Plock and the fifth team from last year’s ebt cycle and current silver medallists of the Polish Championships, Red Hot Chili Buk. Teams that have received a wild card from the organizers will also be announced soon. The deadline for submitting the participation in the ebt Finals is March 25. You can find the EHF Folder here.